On September 6, 2017 the minister of information of Somalia read a statement in which he claimed that ONLF has a relationship with Al-Shabab and was involved in Activities that are endangering the Security of the Somali Republic. This disinformation exercise by Mr Kheyre’s cabinet was reached in order to justify the illegal rendition of Mr Abdikarin Sh. Muse an ONLF executive member living in Mogadishu for the last three years. The decision read by the Minister was based on the so-called agreements between representatives of Galmudug Regional State and puppet administration in Jigjiga (Ogaden) with regards to cooperate in fighting ONLF and Al-Shabaab. Furthermore, as the Minister stated this decision was intended to safeguard the security and wellbeing of Somalia and the neighbouring states. He also stated that the Cabinet bans any armed group to use Somalia as base to threaten the security of neighbouring countries. ONLF categorically rejects these accusations regarding relationship with Al-Shabab or engaging in armed activities in or originating from Somalia. ONLF has never engaged in or conducted any activity in Somalia that will pose a threat to either the Somali people or their government and as matter of policy doesn’t conduct any military activities outside the Somali territory under Ethiopian rule. In fact, ONLF members have been on many occasions killed, detained or handed over to Ethiopian by the regional warlords or Al-Shabab but has never retaliated against them by choice in order to respect the fabric of Somali Unity and not to fuel the already volatile situation in Somalia or to be diverted from its vision and mission. The continued assertion that ONLF has a relationship with Al-Shabab, which is often TPLF instigated propaganda has no basis in reality. Al-Shabab tried to infiltrate into Ogaden in 2009 and actually killed five ONLF fighters who were not aware of their presence close to the Somalia border. ONLF sent a message to them ordering them to leave the Ogaden immediately. They refused and attacked the Ogaden Liberation Army which forced them out of the territory and ever since has been keeping them from re-entering it. Subsequently AL-Shabab decided to kill every ONLF member they found in Somalia. ONLF’s former Defence Secretary Mr Illias Sh. Ali, three central committee members and scores of senior and junior officers summarily executed by Al-Shabab. In addition, ONLF always supported the fledging transitional governments in Somalia and persuading those it had influence on to be always on the side of the Somali government. ONLF has congratulated all presidents during the transitional period since 1991 including the current president. ONLF is a national liberation organisation that struggles for the right of self-determination of Somali people under Ethiopian rule. 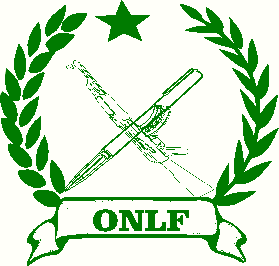 ONLF was founded in 1984 after Western Somali Liberation Front floundered. It was formed to continue the centuries long struggle of the Somali nation to regain the sovereignty of the Somali people that was lost during the colonial scramble for Africa. A struggle that has never stopped and was waged under many different names and banners. The Dervishes, Somali Youth League (SYL), Nasrallah, and the Geeshka, the Somali republic and the Somali Democratic Republic. The shared vision of the Somali nation to restore their freedom had succeeded in liberating British and Italian Somalilands. After the Somali republic collapsed, the quest for the rights of Somali people that were left out continued and the independent Somali people wholeheartedly supported and still support their oppressed brethren in Ethiopia. Ever since the collapse of the Somali government, the TPLF regime in Ethiopia has been actively engaged in destroying the sacred bond between the Somali people fostered through the millennia by shared ancestry, culture and economic symbiosis. And to do that TPLF has been consistently destabilizing Somalia and sponsoring the inclusion of its agents into all the transitional governments of Somalia. Therefore, ONLF believes this act by the cabinet is a continuation of that policy and the decision by the Somali cabinet is a proof of that interference and influence. The minister stated that the cabinet decision was legal and was based on the laws of the land and agreements reached with Ethiopia. That is far from the truth. It just shows the lack of knowledge by the current administration in Somalia of both the laws of Somalia , African Union (AU), Intergovernmental Authority on Development(IGAD) and International Laws and conventions. First of all there is no actual agreement between the Somali republic and Ethiopia regarding extradition. Somalia never even signed the IGAD convention on Extradition, which if signed both governments would have violated. However, the cabinet claimed that local agreements signed between representatives of Galmudug region of Somalia and the Somali regional administration under Ethiopian rule reached in order to resolve massacres committed by the Liyu Police against Somali clans inside the Ogaden related to Galmudug clans in Somalia. The minister stated that government used those agreements to ‘extradite’ Mr Muse legally to Ethiopia. However, the two representatives of the Galmudug region people, who signed those agreements rejected those assertion as reported by the BBC and VOA Somali services. Furthermore, the cabinet ignored in its legal considerations Article 12 on Application of the Fundamental Rights recognised by the Somali state. The Somalia Cabinet not only violated the Somali constitution but in addition has violated the IGAD as well as the Geneva Conventions and the Universal Declaration of human rights. Regardless of whether the Somalia cabinet considered Mr Muse a Somali Citizen or not, all those rights in the Somali constitution, IGAD convention and international laws clearly show that the decision of the cabinet was illegal and has violated the laws of the Somalia. Mr Muse was not given a fair trial in courts of law with legal counsel in the countries of both offending parties, nor was he given the legal protection accorded either as a Somali citizen or as a political person. He was not protected in regard to the fact that he could be subject to degrading and dehumanising practices of the TPLF-led regime which are documented by the Human rights organisations. Concocting false accusations and claiming legality is unsuitable for representative of the Somali people and the religion, culture and unity, and dignity of the Somali nation. Many countries in the world, respecting their domestic and international laws allow ONLF leaders and communities to advocate for their rights. How is it acceptable then that ONLF members are to be hunted down and sold like slaves by their own kith and kin to an unrelenting enemy that even denies the Somali people under its rule to get proper treatment against pandemic diseases like cholera in time to prevent thousands of preventable deaths? ONLF has been in negotiations with the Ethiopian government facilitated by Kenya which shows that it has genuinely tried to solve the conflict peacefully and if the Somali cabinet was really interested in a peaceful Horn of Africa it would have striven to expand that process and take part in finding a fair and lasting solution. As long as the rights of the Somali people under Ethiopian rule are not given their self-determination, peace in the Horn of Africa will be illusive and Somalia and Ethiopia will never have genuine peace, regardless of whether ONLF exists or not. ONLF requests from the Somali people, government and Parliament, the AU and the UN to act on this matter and provide justice to Abdikarin Sh Muse and hold those responsible for this crime accountable. ONLF believes that is decision is an insult to the hundreds of thousands of Somalis who sacrificed their lives for attaining the rights and dignity of the Somali people and has violated the laws of Somalia and international laws and conventions. ONLF calls upon the Somali government to rectify its mistakes and start remedying the damage already done, including diplomatic efforts to return Mr Muse, taking back its illegal injunction against ONLF and its members. It is not the intention of ONLF to see the dignity ,Unity and Sovereignty of the Somali people and government jeopardized but such decisions would endangers the safety and security of every Somali citizen wherever he or she maybe. According to the Somali construction the sovereignty of the Somali nation resides with the Somali people. It incumbent upon the member of the Somali parliament to insure that the sovereignty , dignity and the rights of every Somali citizen is protected. If the right of a single Somali citizen is violated , the rights of every Somali citizen is violated. ONLF thanks the Somali people and members of parliament for standing up for Mr Abdikarin muse and will continue to support their effort to get a genuine sovereign Somali government in Somalia. “Ethiopian officials mentioned ONLF during our meetings, but I do not know any agreement that we signed concerning ONLF and I was not representing the federal government of Somalia,” he said. Mahad Salad, Somalia’s former minister of state for presidential affairs, also denied the existence of a federal-level agreement. “We were representing people in the region and went to Ethiopia in search of a solution for a regional conflict. The agreement was collaborating on security in general and pacifying the local people, but ONLF was not in the eight-article agreement we signed,” Salad said. Like Guuleed, he said he was not a government representative. “It was a very strange and mistaken decision committed by the Somali government when they handed over a Somali citizen to Ethiopia, and now they did another mistake,” said Abdulkarim Guuleed, the former governor of Galmudug. “That agreement cannot be used as a justification for the handing over of Muse to Ethiopia because it had nothing to do with ONLF or exchange of criminals or prisoners.” The Constitution of the Federal Republic of Somalia promotes human rights, the rule of law, general standards of international law, justice, participatory consultative and inclusive government, and the separation of powers between the legislature, executive and an independent judiciary, in order to ensure accountability, efficiency and responsiveness to the interests of the people. (1) The fundamental rights and freedoms recognized in this Chapter shall always be respected in the making and application of the law. Likewise, they must be respected by all individuals and private organisations, as well as by every state institution and state official as they carry out their official functions. (2) It is the responsibility of the state not only to ensure it does not violate rights through its actions, but also to take reasonable steps to protect the rights of the people from abuse by others. (3) The rights recognized in this Chapter may be limited only by a law as provided for in Article 38. Article 3(4) The Constitution of the Federal Republic of Somalia promotes human rights, the rule of law, general standards of international law, justice, participatory consultative and inclusive government, and the separation of powers between the legislature, executive and an independent judiciary, in order to ensure accountability, efficiency and responsiveness to the interests of the people. (1) Human dignity is given by God to every human being, and this is the basis for all human rights. (2) Human dignity is inviolable and must be protected by all. Every person is entitled to file a legal case before a competent court. Every person is entitled to defend him or herself from the case he or she is party to, whatever the level or stage of the proceedings may be. The state shall provide free legal defence to the people who do not have the means of doing so themselves. The state shall provide free legal defence to individuals or communities if they are legally pursuing the public interest. (1) The accused is presumed innocent until proven guilty in a final manner by a court of law. (2) Every person arrested or detained has the right to be informed promptly of the reason for their arrest or detention in a language that the person understands. (3) Every person arrested or detained shall have the right for his or her family and relatives to be informed of his or her situation. (4) A person may not be compelled to self-incriminate, and a verdict may not be based on evidence acquired by means of coercion. (5) Every person who is arrested has the right to be brought before a competent court within 48 hours of the arrest. (6) Every person who is arrested or detained has the right to choose, and to consult with, a legal practitioner and if he or she cannot afford one, the State must appoint a legal practitioner for him or her. (7) Every person brought before a court of law for an alleged criminal offence is entitled to a fair trial. (8) The accused has the right to be present at their trial. (9) The accused has the right to challenge the evidence presented against him or her. (10) The accused has the right to an interpreter if the accused person does not understand the language being used in the court. (11) The accused cannot be kept in an illegal detention centre, and must be granted visits by his or her family, doctor or lawyer. (f) Members of the forces shall be trained on the implementation of this Constitution, the laws of the land and the international treaties to which the Federal Republic of Somalia is a party. (1) Any person who has been accused or convicted may be extradited only in a manner prescribed by law and on the basis of an international treaty or convention which the Federal Republic of Somalia is party to, and which obliges the Federal State of Somalia to extradite the accused or convicted. (2) Any accused or convicted person shall be extradited only in accordance with international law and practice, and on the basis of legislation governing extradition, which has been passed by the Federal Parliament. (1) Every person who has sought refuge in the Federal Republic of Somalia has the right not to be returned or taken to any country in which that person has a well-founded fear of persecution. (2) The Federal Parliament shall enact legislation in compliance with international law, regulating refugees and asylum seekers. For the purpose of this Convention, an extradition offence is an offence that is punishable under the laws of both the requesting and requested State Party by imprisonment or other deprivation of liberty for a period of at least one year, or by a more severe penalty. Where the request for extradition relates to a person wanted for the enforcement of a sentence of imprisonment or other deprivation of liberty imposed for such an offence, extradition may be refused if a period of less than six months of such sentence remains to be served. Mr Muse was never sentenced in Ethiopia. The requested State Party shall deal with the request in accordance with its laws. A State Party shall have the right to refuse extradition of its nationals. b) Each State Party may, by a declaration made at the time of signature or of deposit of its instrument of ratification or accession, define as far as it is concerned the term “nationals” within the meaning of this Convention. Mr Muse is struggling the rights of the marginalised Somali under Ethiopian rule who are and were subjected to marginalisation and human rights violations based on their ethnicity, religion and seeking to exercise the political rights of self-determination and genuine self-rule. g) if the judgment of the requesting State Party has been rendered in absentia and the convicted person has not had sufficient notice of the trial or the opportunity to arrange for his defence and he has not had, or will not have, the opportunity to have the case retried in his or her presence.